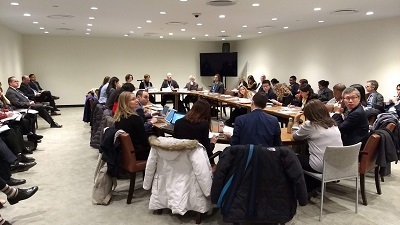 The Friends of Governance for Sustainable Development have continued to host workshops on the 2030 Agenda for Sustainable Development in 2018. Governance for Sustainable Development Volume 3: Preparing for the Heads of State Review of the 2030 Agenda for Sustainable Development Paperback was edited by Felix Dodds (Author, Editor), Akinremi Bolaji (Editor), Yeongmoo Cho (Editor), Verena Klinger-Dering (Editor), Cristina Popescu (Editor), David Banisar (Editor), Quinn McKew (Editor). The 2030 Agenda represents one of the most important sets of Global Goals that the international community has committed to. It is an unprecedented effort that embodies universal aspirations for achieving a more just, equitable, peaceful and sustainable future. 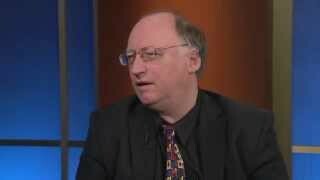 It is an excellent example of successful multilateralism. This ambitious and unique exercise represents a paradigm shift in policy-making for sustainable development. It gives a roadmap by which we all, the UN, governments and stakeholders can work together to address the most pressing global challenges. In this context, the rule of law, as well as effective, robust, participatory and accountable institutions are of the utmost importance to achieve the 17 sustainable development goals (SDGs) and their 169 targets. 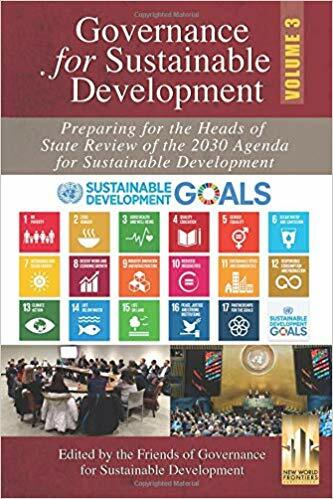 This is the third book that the Group of Friends of the Governance for Sustainable Development has produced in an effort to share widely the papers that have been presented at the workshops for member States to discuss. The Group recognizes that there is an inextricable link between good governance and sustainable development and that, as the 2030 Agenda is implemented, governance challenges will need discussion and action at all levels and by all institutions. 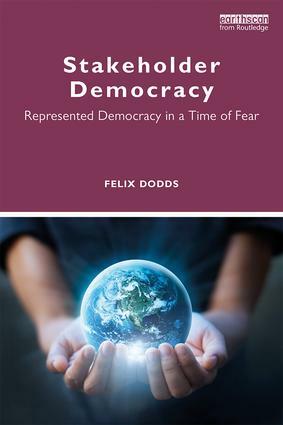 My new book Stakeholder Democracy: Represented Democracy in A Time of Fear (Routledge) is on advance order on amazon - out July 9th. I would also like to thank my co-authors Jan-Gustav Strandenaes, Carolina Duque Chopitea, Minu Hemmati, Susanne Salz, Bernd Lakemeier, Laura Schmitz, and Jana Borkenhagen for their chapters - which are awesome!! While underscoring that my co-authors do not necessarily agree with the chapters written by other people. The book will be out in July for the High-Level Political Forum where we will be launching the book. Let me share with you the introduction for the book...and a few reviews out already. “A revolution is coming — a revolution which will be peaceful if we are wise enough; compassionate if we care enough; successful if we are fortunate enough — But a revolution which is coming whether we will it or not. We can affect its character; we cannot alter its inevitability.” (Kennedy, 1966) - continued in my blog here. I just realized I had not put this on my website - it has been on other platforms I use. 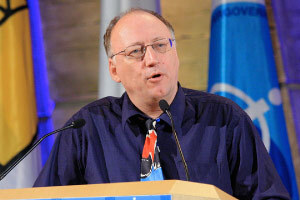 I am letting all of you know that I did not make the shortlist for the UNEP Executive Director. Hopefully whoever is chosen will take up some of the ideas I ran on. I am looking forward to hearing who the new Executive Director will be and working with them in whatever way possible to help make UNEP great again ;-). The next few years UNEP will need strong and visionary leadership as we address the reviews of the 2030 Agenda and the Paris Agreement and as we move onward towards the 50th anniversary in 2022. I wanted to thank all of you for your support and messages. Meanwhile, as mentioned in my last blog, my new book has been submitted to Routledge for a July publication. Stakeholder Democracy: Represented Democracy in a Time of Fear I hope will embed a greater understanding of what role stakeholders can play in stabilizing our democracies. 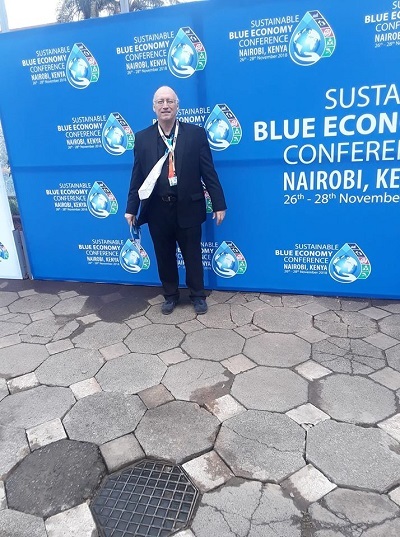 The quotes below do not indicate an endorsement for me for the position of UNEP Executive Director they were comments made on my work over the past thirty years. 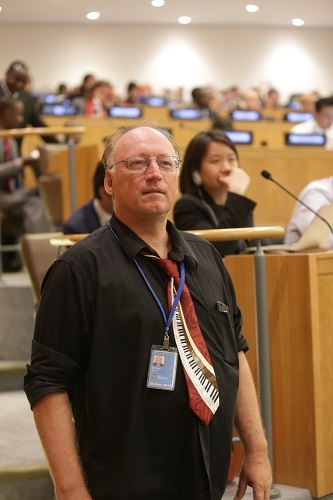 “Felix Dodds deserves high respect and admiration for his unswerving and dedicated efforts as one of the key leaders of the global NGO movement for sustainable development for several decades." 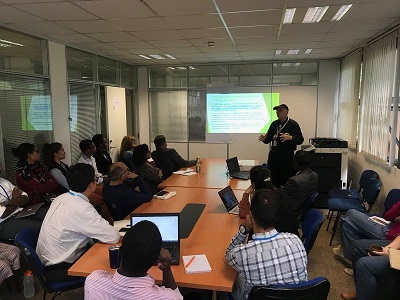 UNEP needs to fulfil its essential role in leading nations and stakeholders to creatively work together in ensuring that these threats are addressed and resolved effectively. Governments naturally underpin our multilateral system, but today’s challenges require also multi-stakeholder responses. All of us need to be working together. the role that stakeholders can play in supporting representative democracy in policy development and in partnerships. In this I have been a consistent advocate for the United Nations its mission and its values and the leadership role it can play in these difficult times. I recognize that it is less-than-traditional for one to apply for head of a UN Programme or Agency from outside the customary roles of Minister, senior official or Ambassador, but I believe I have acquired many of the same and additional experiences and skills through decades of experience advising and consulting for national governments and UN agencies/programmes, and working with extensive international coalitions of NGOs, IGOs, sub-national governments and the private sector. More significantly, I have often worked in the interface between those organisations and national governments in multiple UN processes, covering a wide range of sectoral and most recently nexus areas. Given the extraordinary sectoral, economic and political challenges of the times, I believe that the skills and relationships gained in such experience is essential to UNEP playing its role in successfully addressing the complex issues we face – in no small part by bringing different sets of stakeholders to the table around results-based initiatives. This continues on my blog here. The Friends of Governance for Sustainable Development held their third workshop in preparation for next years High-Level Political Forum. 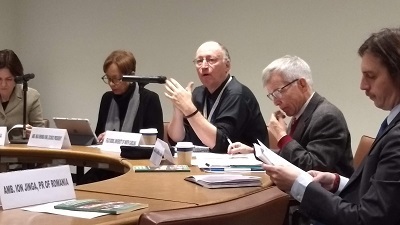 This one was Advancing the 2030 Agenda: Lessons learnt from the first cycle of the High-Level Political Forum on Sustainable Development (HLPF) – how far can we go? I act as Secretariat for the Friends group on behalf of Article 19. The workshop was organized jointly with UN DESA. Office of Intergovernmental Support and Coordination for Sustainable Development. The 2019 HLPF summit should be an important occasion to strengthen political will for the implementation of the 2030 Agenda and should identify accelerators and drivers of change to speed up implementation.. the power points from the workshop can be found here. "Your appointment as an Adjunct Professor in Environmental Sciences and Engineering at the University of North Carolina at Chapel Hill, Gillings School of Global Public Health was approved by the Executive Vice Chancellor and Provost, effective November 7, 2018 for a term of three years. This is a fixed-term appointment terminating November 6, 2021." 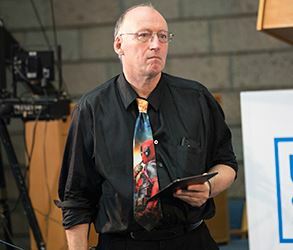 Terry Waghorn conducted an interview with Chris and me in Inter Press ServiceAn on the idea 'Advocating for a 'Blue Economy Investment Facility'.